Taking a trip to...Croatia | gingerbread smiles. 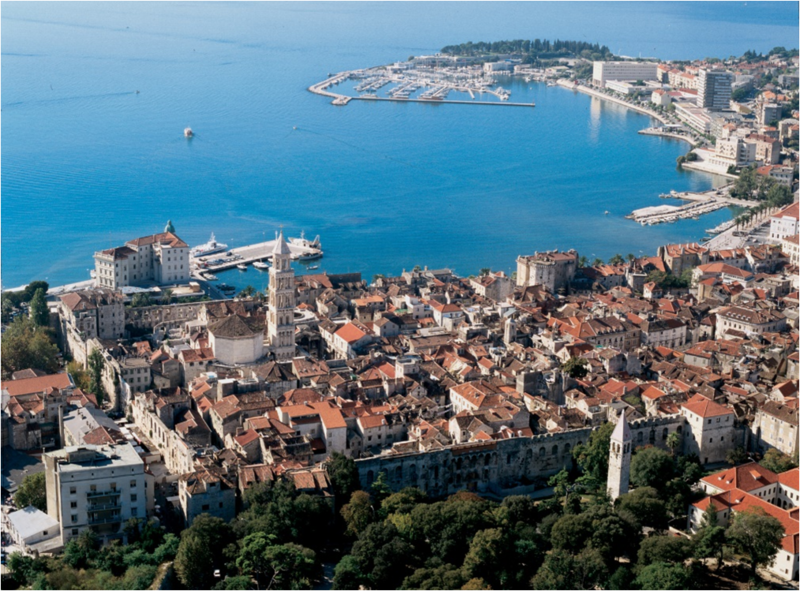 Does Croatia pop into your mind when you think of potential sunny holiday destinations? Probably not. But it’s my favourite holiday destination. Pictures of Kefalonia, Santorini, Portugal, Gran Canaria, and Valencia have peppered my Instagram and Facebook feeds already this summer. But Croatia is somewhere which, despite its natural beauty, history, and bountiful choice of cities and islands, is somewhat overlooked in terms of popular countries to visit on ‘traditional’ summer holidays. The wars that ravaged the former Yugoslavia in the 1990s have, without a doubt, influenced this. The early 2000s were the first years that the region saw an end to the violence and instability in the Balkan region. 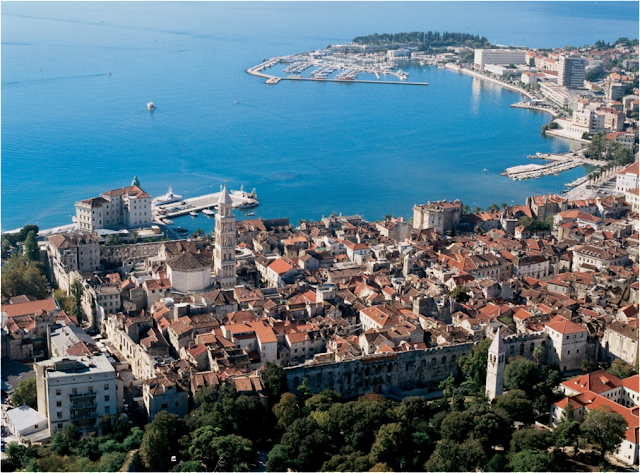 However, with political and economic stability restored, Croatia is now thriving. Our holiday this year took us to Split, Croatia. For many reasons, Croatia is a place I hold close to my heart. As a teenager I ventured to another part of Croatia on holiday with my mam and grandfather, and I have incredible memories of that holiday. I also studied the former Yugoslavian region heavily for my degree and a large part of my dissertation was focused on it; the history and culture of the country is simply fascinating. Did I mention it’s absolutely stunning? But why should you love it too? Croatia gets 320 sunshine filled days a year! I've got time for that. There are 1,185 islands, and around 66 of these are inhabited. You can ferry-hop to these islands and explore even further. There’s a huge array of natural wonders to see. The Blue Cave with glowing waters. The best beaches: Zlatni Rat on Brac island. There are 7 UNESCO World Heritage Sites including waterfalls, a palace, and entire cities. There is a MUSICAL SEA ORGAN in Zadar. I repeat, a MUSICAL SEA ORGAN. Just, wow. 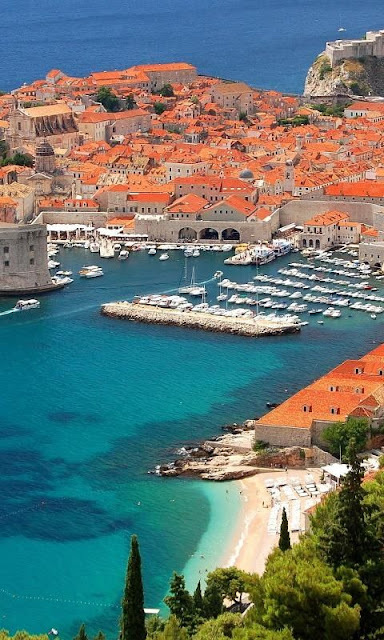 Everyone’s (except mine) favourite TV show, Game of Thrones, has been filmed all over Croatia. There is a ‘Museum of Broken Relationships’ in the country’s capital of Zagreb which features remnants of past relationships. Fascinating. I swam in a waterfall. Do I need to say anymore? Split is known for its great pub crawls for the young’uns (Chris and I did not partake in these mainly because we are old people living inside 20-something year old bodies). It is brilliantly cheap, but it isn't a compromise for quality. 100 Croatian Kunas = £10. On nights we ate out, the bill rarely came to more than 200 Kunas including lots of drinks, and the food is delicious. There are vast amounts of seafood to sample in traditional ‘Konobas’, which are traditional restaurants serving Dalmatian cuisine. Last of all, something I can’t show you a picture of or link you to – the wonderful, warm people of Croatia. There is such an informal, relaxed atmosphere to Croatia, and this goes a long way to setting the scene for a perfect holiday. Have I convinced you that Croatia needs to be your next summer holiday?! I do hope so. I’ll shortly be uploading a more in depth post over on my blog (www.chapterandcircle.co.uk) so be sure to check that out too. Thanks so much to Danni for having me!